While there is currently no cure for Alzheimer’s disease or even treatments that can prevent the disease from progressing, early detection of Alzheimer’s disease can help patients make important choices about their health and fully explore treatment options to lessen symptoms of the disease such as memory loss. Alzheimer’s disease is the most common form of dementia, accounting for between 60% and 80% of cases. The disease causes progressive loss of cognitive and behavioral functions and is ultimately fatal. The death rate from the disease has increased by 61% in the past 10 years, according to data from the Spanish Neurology Society. Early detection of Alzheimer’s disease is a challenge. Often the disease is only diagnosed when patients are experiencing several symptoms or when there has already been significant neuropathological damage. 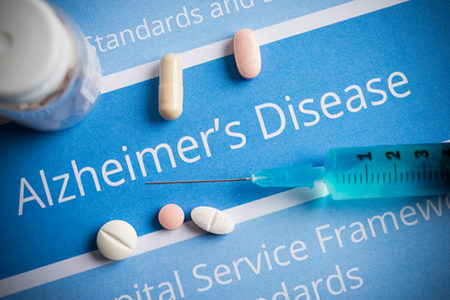 Researchers have been searching for biomarkers of the disease that can allow an early detection of Alzheimer’s disease, but they have remained elusive. However, researchers at the Polytechnic University of Valencia (UPV) in Spain have developed a tool that may be able to help. The tool, named ALTEA, is a software program that analyzes magnetic resonance images for parameters linked to cerebral textures which are transformed into biomarkers for the disease. The software uses an algorithm to process the images and quantifies the homogeneity or heterogeneity of the hippocampal region of the brain. The software can identify alterations which are invisible to clinical specialists and can characterize and differentiate between different stages of the disease. The software is still in its beta phase and is currently undergoing testing, but the results so far are highly promising. The beta testing of the software involved analyzing MRIs of three groups of patients: Patients with early-stage Alzheimer’s disease who were experiencing minor cognitive impairment, individuals with more advanced Alzheimer’s disease, and a control group. The researchers conducted a transversal study and performed an extensive statistical analysis and were able to confirm the predictive capability of the potential biomarkers they had identified and obtained. “In light of the preliminary results obtained, we can say that both the analysis of 2D and 3D textures are very powerful tools that could complement and in great measure improve the diagnosis of Alzheimer’s disease,” explained David Moratal, a researcher at UVP’s Centre of Biomaterials and Tissue Engineering.